In South Carolina we have just been hit with a major storm that has caused mass flooding in the state. An event like this reminds us how important it is to prepare our students and families for severe weather emergencies. 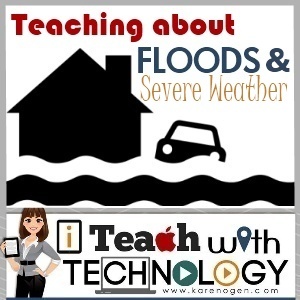 I have collected some interactive sites that will help teach our students about flooding- how it happens, how they can make their homes safer, what to do in a flood, and where floods have happened historically. There are also sites about earthquakes, hurricanes, tornadoes, tsunamis, and general weather! Boo! Halloween Themed Games for You!